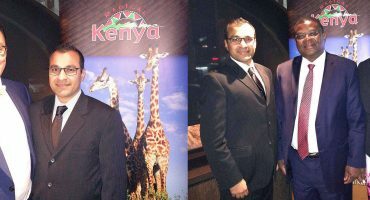 The Swahili House, best suited for budget travelers, is over a 125-year old structure that was originally built as the residence of an Indian merchant. Standing close to the Darajani Market and Anglican Church in the center of Stone Town, it is accessible via the winding lanes of this olden capital of Zanzibar. 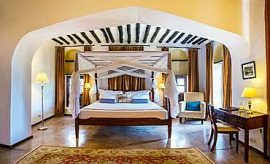 It has been a hotel since 2008 when it was restored but accords you the experience of living in an authentic Zanzibari house with sepia pictures on the walls, carved balustrades, traditional furniture, lanterns and planters hanging from the ceiling. 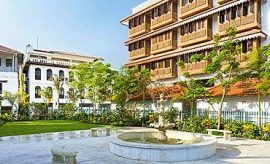 You will also see wooden plant holders adding a modest charm to the hotel. 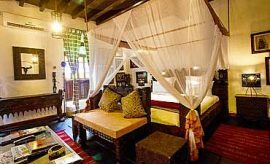 The Swahili House has 20 rooms for value AfricanMecca guests touring the historic settlement of Stone Town located over the upper four floors. The newly installed elevator takes you up to the rooms in two specifications. You can choose from the 16 Deluxe Rooms and 4 Sultan Suites that are more spacious and have a balcony. 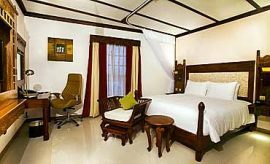 Each room has an en-suite bathroom with a shower or a bathtub, washbasin and the basic amenities typical of an economy accommodation. Enjoy relaxing in the authentic Zanzibari beds protected with mosquito nets. The rooms also have outlets for charging batteries, ceiling fan and old armoires for unpacking. 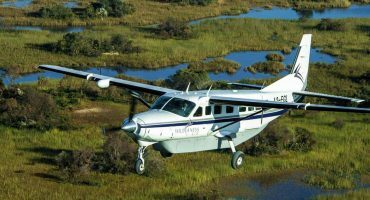 If you are traveling with a baby, you can request for the use of a crib. This bed and breakfast serves you meals in their two restaurants, one of which is located on the ground floor while the other is on the rooftop. 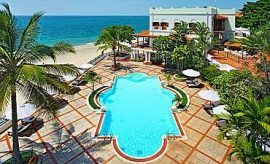 The bar is also located on the terrace and you can enjoy wholesome meals on your East African cultural holiday to sweeping views of the island metropolis of Zanzibar spread out below you. You can also spend time in the plunge pool on the sundeck also on the rooftop. 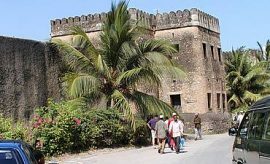 The Swahili House has an ideal location for exploring the many delights of the bazaars where you can pick many souvenirs of your dream vacation in this quaint part of Tanzania. Enjoy some good-natured haggling as you choose from the exquisite hand-crafted wares of the seasoned shopkeepers. Look for beautiful Kitenge fabrics, delicate bead jewelry mingling incongruously with postcards and hand-carved keychains. View the unusual looking fruits at Darajani and learn their names like shoki-shoki, durian, bungo and many more. You will also find organic, freshly picked spices here and you could buy some to take back home. If you would like to see them growing in their natural state, excursion out to the spice garden farms of Zanzibar. Later, your AfricanMecca guide will take you to see the many architectural, cultural and historical wonders of Stone Town, each standing in mute testimony to the many fused eras of a very unusual past. Visit the Forodhani Gardens, Beit-al-Ajaib and Sultan’s Palace to name a few. 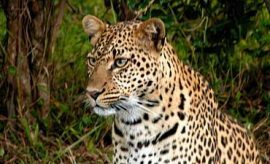 While at Swahili House, you must take a day trip to the Jozani Forest Reserve. This section of the island has been set aside for the conservation of the rare red colobus monkey. A unique primate, it is friendly in nature and you can take lots of pictures as individuals groom one another and forage for food. 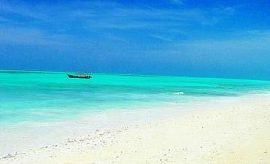 Optionally, you can also go off-shore on a snorkeling or scuba diving excursion around the Indian Ocean waters of Stone Town. 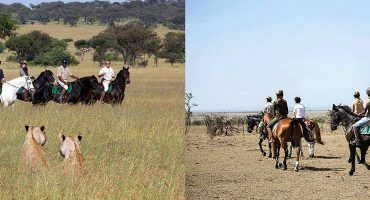 When tour vacationing at Swahili House in Zanzibar, we recommend experiencing some of the surrounding Zanzibar Island attractions and tour activities after your Northern Tanzania safari to Tarangire, Lake Manyara, Ngorongoro Crater and Serengeti.